Grace is a Chinese American who longs to be a part of New York's high society. At a socialite event, she is mistaken for a Hong Kong heiress and meets her Prince Charming. Nothing is as it seems absorbing drama. What will happen to this Cinderella when the clock strikes midnight? 06 November 2013 | The Daily BLAM! 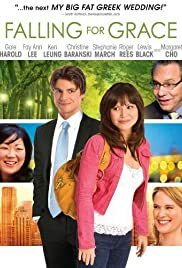 Grace Tang, an ambitious banker from working class Chinatown falls in love with New York's most eligible bachelor, Andrew Barrington, Jr. The only problem is that he thinks she's an heiress from Hong Kong. It is only through her search for fairy tale love that Grace re-discovers her own identity and realizes what really matters in life. Her dream came true when she became someone else. Just came out of the screening in San Francisco today. Good audience reaction. Being an SAF, I'm all about supporting Asian American films. Yes, this is a clichéd romantic comedy. But the director and the actors do get the Asian family dynamics dead on. I was impressed by the actors they were able to get for this film e.g. Christine Baranski. There is a slightly clever subplot to the film but I don't want to give it away. The business/legal issues portrayed in the film could have only been thought of by Fay's business school friends. I liked Margaret Cho as the female best friend/sidekick. I think she could continue to play that role well in many other future films (Asian and non-Asian). If she doesn't mind being typecast as such. OK, that's it for my very first film review!